Although the 4-H program began as a learning opportunity for farm youth, today’s 4-H program includes a variety of projects and activities, ranging from robotics and computer coding to shooting sports and even cosplay. The cost to enroll in 4-H is only $10 and includes access to fun activities, contests to show off your new skills, and the opportunity to display projects in the county fair to win ribbons and premium money! For more information about the 4-H program, please call the Weber County 4-H office at 801-399-8202. The Explore 4-H Cloverbud Activities are for youth in Kindergarten - 2nd grade (youth need to be 5 years old and in Kindergarten as of October 1, 2018). To view the Cloverbud Activity flyer click here. July 16: Rockets - Blast Off! So there are plenty of supplies, registration is required at least one week in advance to attend the Explore 4-H Cloverbud Activities. Register through Event Registration or by calling the 4-H office at 801-399-8202. The 4-H Horse Program is designed for those youth with interest in horses and horse events. This program is designed to provide experiences to help them develop leadership, citizenship, self esteem, social skills and to become contributing members of society, as well as becoming better horse men and women. The 4-H Horse Program is for youth in grades 3-12, but not younger than 8 years old. Because of safety concerns, the Horse Program does not allow Cloverbud enrollment (grades K-2). Enthusiastic 4-H volunteers with expertise and interest in horses and working with youth help deliver and manage the program and its objectives. To participate in the riding and showing portion of the 4-H Horse Program, members need to own or have access to their own horse. Weber County 4-H also offers a wide variety of activities and contests that are great for both youth who own horses and for those who love learning about horses, but don't have a horse of their own. The Weber County Junior Livestock program is designed for those youth with interest in livestock and livestock events. The focus is to provide experiences that help these youth develop leadership, citizenship, self esteem, social skills and to become contributing members of society, as well as becoming better livestock men and women. The Junior Livestock program is for youth in grades 3-12, but not younger than 8 years old as of January 1st of the current 4-H year. In order to provide for the safety and best interests of the participants, Cloverbud enrollment (youth in K-2ndgrades) are not eligible to participate in the Jr. Livestock Program. Enthusiastic 4-H volunteers with expertise and interests in livestock and working with youth help to deliver and manage the program and its objectives. The Junior Livestock program includes activities for those youth who own/have access to livestock and those who do not, but still want to learn about the science of livestock selection, care, and management. Activities can include everything from educational and fun club meetings, livestock shows and the Weber County Fair, service projects, judging contests, and leadership opportunities. Club members hold club offices, give public speeches and demonstrations, do service projects, and spend time with friends. The 4-H robotics program helps children develop technology, problem-solving, and teamwork skills as they build and program EV3 Lego robots. Youth can explore robotics as 4-H club members (must live in Weber County). Robotics clubs meet once a month from October - April. The following four clubs will be available. All youth must be enrolled in 4-H to participate. Contact the 4-H office for more information. 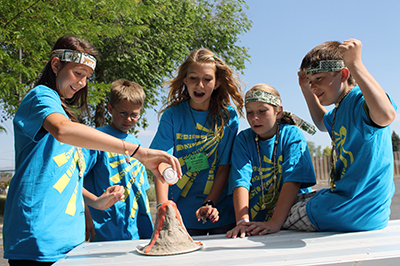 4-H Aggie Adventure Camps: Robotics themed Aggie Adventure Camps are held during the summer. The camp schedule is announced in April each year. Robotics-themed camps are among the first camps to fill up, so interested parents are encouraged to register quickly. Challenge Nights and Showcase Night for the 2018-2019 4-H year will be held from 5:30 p.m. - 7:30 p.m. at the Weber County 4-H Office. Youth earn blue (30 points), red (15 points) or white (10 points) honors for each challenge. They will receive a certificate at the end of the challenge night summarizing their accomplishments. At the last Robotics Challenge Night, members will be able to "cash in" their points for prizes. Contests: Club members enrolled in 3rd-12th grade can also compete in any of the twenty county 4-H contests and portfolio competition. Youth can explore many small animal projects in 4-H. These projects provide youth with an opportunity to learn about feeding, caring and showing an animal and are especially great for children who may not have the land needed for larger livestock projects. As with all 4-H projects, the focus is to provide experiences that help these youth develop leadership, citizenship, self esteem, social skills and to become contributing members of society. Children can enroll in 4-H when they are in Kindergarten and at least five years old. These younger members are called "Cloverbuds." Because of their age, they are restricted from participating in competitive 4-H events and cannot participate in livestock or horse projects. Once youth are in 3rd grade and eight years old, they can participate in competitive 4-H events and participate in large animal projects. Children explore projects as members of 4-H clubs, which are led by parents or community volunteers. A typical club meets once a month for at least six months. Parents can organize a club with five or more members. Clubs can explore many topics during the year, or choose to focus on just one topic. Membership in Weber County's 4-H Shooting Sports program is open to youth in 6th - 12th grades who have completed Hunter Education. Club membership is limited to a maximum of five members per club leader. The county membership fee is $20. 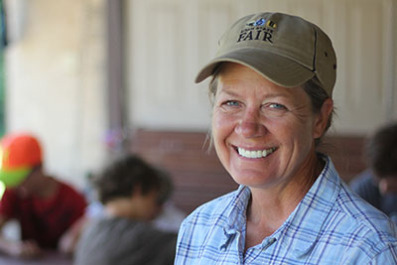 In addition, individual 4-H clubs may charge dues to cover range fees, supplies, etc. Youth must provide their own equipment, ammunition and safety equipment. The 4-H shooting sports program includes archery, .22 rifle, shotgun, outdoor skills and a written test. Click here for a copy of the Weber County 4-H Shooting Sports by-laws, which outlines the rules, eligibility, safety guidelines and contest details. Come join in the fun with 4-H STEM (Science, Technology, Engineering, Math) Workshops! Workshops held at the USU extension office are open to youth 3rd-12th grade (as of January 1, 2019) and workshops held at library locations are open to children age 5 and up. To view workshop flyers, please click the links below. Discover 4-H Community Club Activities: They will be held the third Saturday of each month from 12:30-1:30 p.m. at the 4-H office. These activities are for youth in 3rd-12th grade (as of October 1, 2018). The cost is only $20 to enroll and participate in all activities for the whole 4-H year!